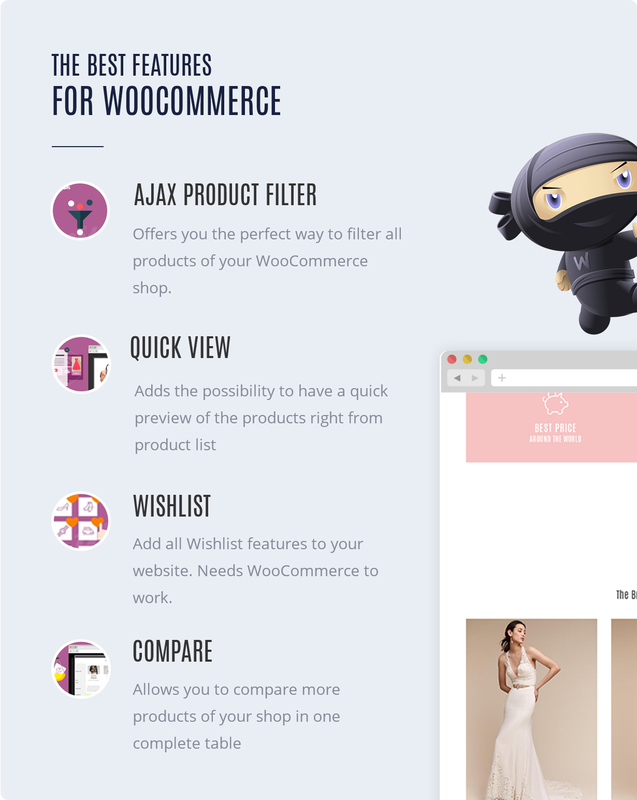 Wedding is also based on Redux framework and empowered by a robust admin panel and a lot of other popular plugins such as Visual composer, Slider revolution, Ultimate addons for Composer, WPML, Mega Menu, Ajax Search, Ajax product filter…. 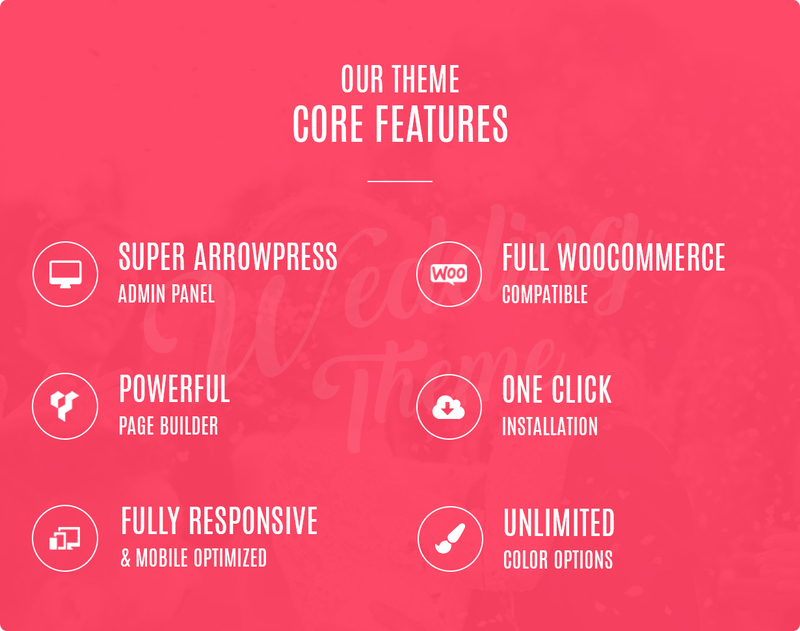 So, it is an assurance that MarryMe will bring you a super powerful WordPress Theme. 10+ unique homepage layouts: Wedding Couple, Wedding planner, Wedding studio, Blog, Gallery, Shop ….